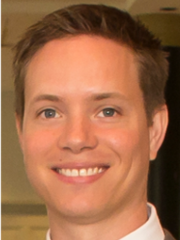 The 2019 ACS Astrochemistry Outstanding Dissertation Award was conferred upon Dr. Cameron J. Mackie, currently at Lawrence Berkeley National Lab. His dissertation work, "The Anharmonic Infrared Spectra of Polycyclic Aromatic Hydrocarbons," was performed at Leiden University under co-advisors Prof. A. G. G. M. Tielens and Dr. Timothy Lee of NASA Ames Research Center. The award includes a $500 prize, a $500 travel award from ACS Earth and Space Chemistry, and an invitation to speak at the Astrochemistry Symposium at the Fall 2019 meeting in San Diego, CA. Congratulations! 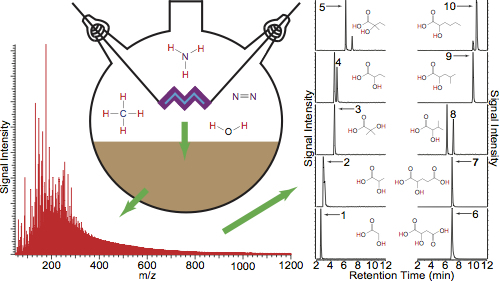 Two of Dr. Mackie's recent publications are "Fully anharmonic infrared cascade spectra of polycyclic aromatic hydrocarbons" (published in J Chem Phys) and "The anharmonic quartic force field infrared spectra of hydrogenated and methylated PAHs" (published in Phys Chem Chem Phys). 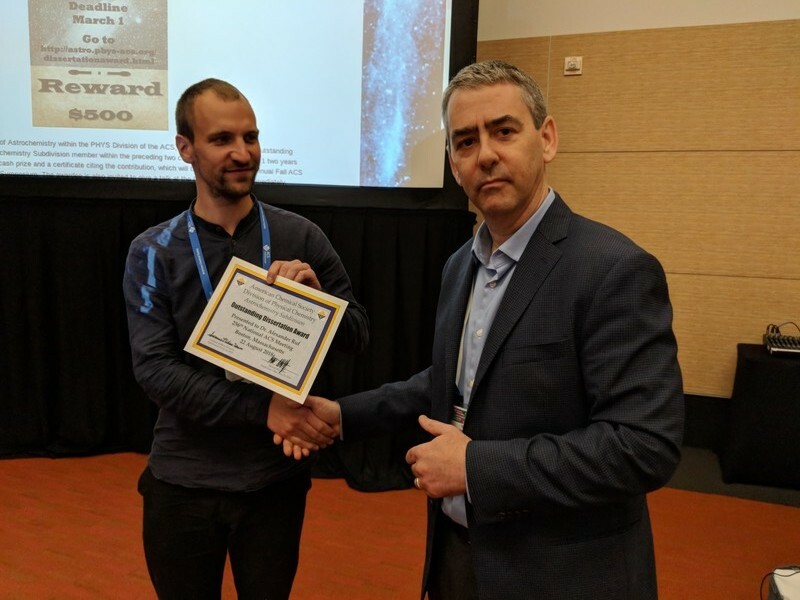 Dr. Mackie is also the winner of this year's dissertation prize awarded by the Laboratory Astrophysics Division of the American Astronomical Society! 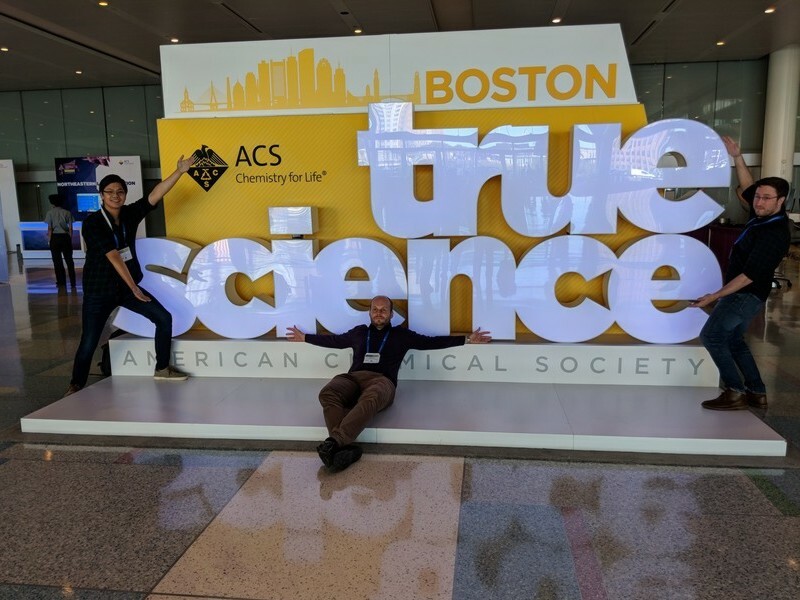 The subdivision sponsored a symposium at the Fall 2018 ACS Meeting in Boston that focused on the contributions of experiment to astrochemistry. Entitled New Spectroscopic Techniques for Astrochemistry, it was organized by Kyle Crabtree and Michael McCarthy. Pictured are Kelvin Lee, Marcin Gronowski, and Brandon Carroll (left to right) posing with the meeting theme. Click here for the symposium's program. 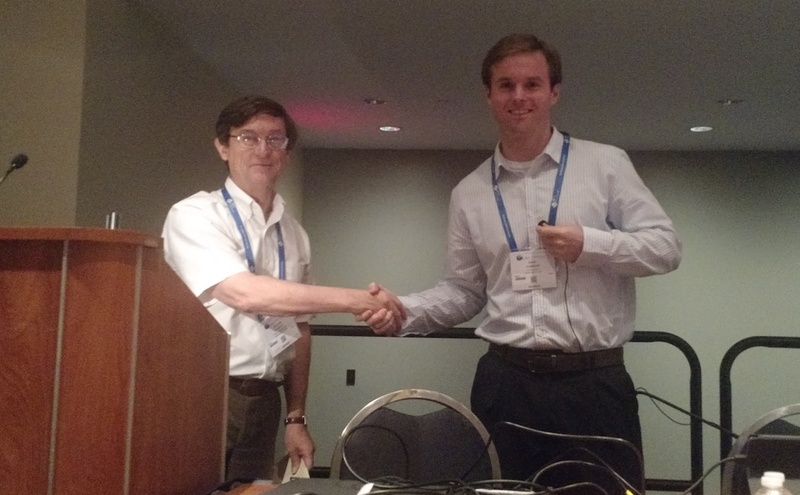 Events included presentation of the 2018 dissertation award to Dr. Alexander Ruf by subdivision Chair Michael McCarthy. Photos used with permission. The 2018 ACS ACS Astrochemistry Outstanding Dissertation Award was conferred upon Dr. Alexander Ruf, currently at Aix-Marseille Université. 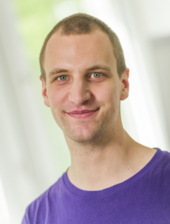 His dissertation work, "Previously unknown organomagnesium compounds in the astrochemical context", was performed at the Technical University of Munich under advisor Prof. Dr. Philippe Schmidtt-Kopplin. 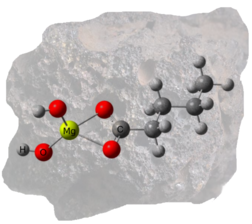 Dr. Ruf's work in the discovery of a new group of metal carboxylates in meteorites may have important implications for chemical evolution, transport, and processing, making it directly impactful upon astrochemistry. The award includes a $500 prize, a $500 travel award from ACS Earth and Space Chemistry, and an invitation to speak at the Astrochemistry Symposium at the Fall 2018 meeting in Boston, MA. Congratulations! Two of Dr. Ruf's recent publications are Previously Unknown Class of Metalorganic Compounds Revealed in Meteorites (published in Proceedings of the National Academy of Sciences) and Data-Driven Astrochemistry: One Step Further within the Origin of Life Puzzle (published in Life). 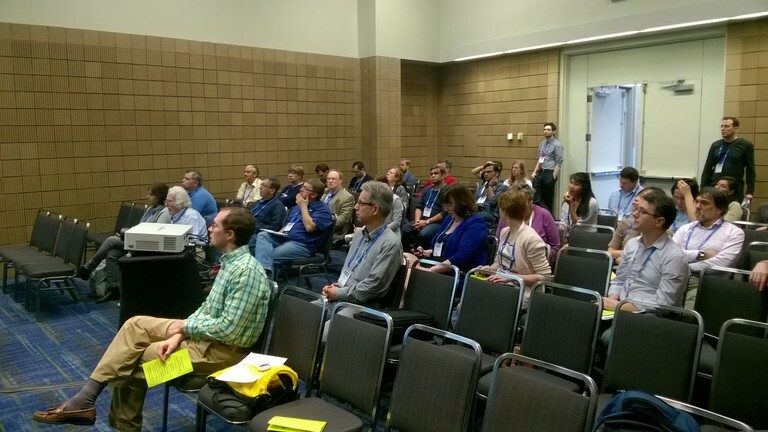 The subdivision sponsored a symposium at the Spring 2018 ACS Meeting in New Orleans that focused on the contributions of theory to astrochemistry. Entitled Quantum Chemistry, Dynamics, and Reaction Modeling for Molecules and Materials in Astrophysical Environments, it was organized by David Woon and Herma Cuppen. Click here for the symposium's program. Photos courtesy of Susanna Widicus Weaver and Partha Bera. 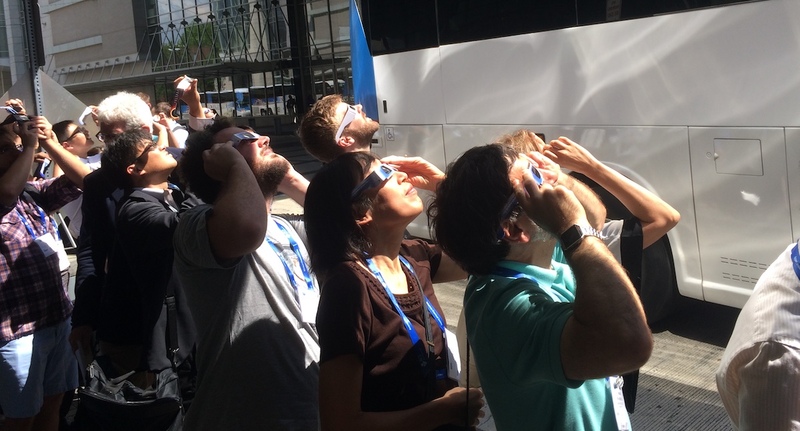 The photo to the left shows two officers and a symposium organizer taking in the eclipse. While the eclipse was definitely the higlight of the week, great science was born out at the Molecules in Space: Linking the Interstellar Medium to (Exo)Planets symposium held from 20-24 August 2017 in Washington, DC. The symposium was such a success that it was moved to a larger room to accomodate the audience. Average attendance was in the upper 50s with even the Sunday morning symposium hosting over 60 fellow astrochemists. One of the featured talks was by Dr. Eric Parker (see below photo and news release further down), winner of the subdivision's 2017 dissertation award. Photos courtesy of Murthy Gudipati. The eight sessions of the "Expanding the Frontiers in Condensed Phase Astrochemistry: Electron Transfer Processes in Ices and Catalysis on Interstellar Grains" symposium began with a room filled to capacity on Monday. A change of rooms led to expanded discussions with presentations by undergraduate students all the way to emeritus professors. 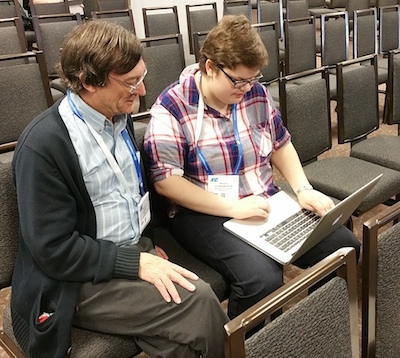 The astrochemistry symposium was one of the most highly attended of the PHYS symposia drawing in chemists and other chemically-minded scientists from across the spectrum of chemistry, physics, astronomy, and geoscience to name a few. 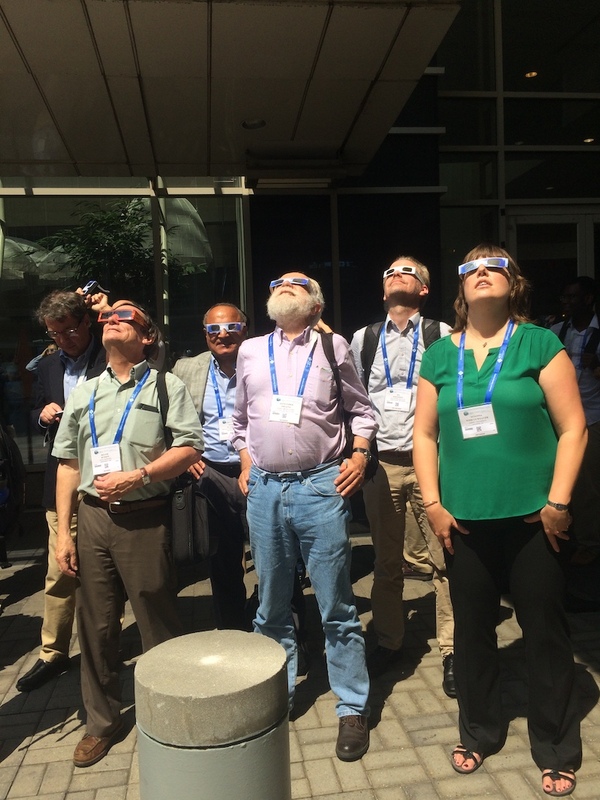 Look for more information coming about the upcoming Washington, DC symposium with time allotted for watching the solar eclipse! The 2017 ACS Astrochemistry Outstanding Dissertation Award was given to Dr. Eric Parker of the NASA Goddard Space Flight Center. Dr. Parker's dissertation, "New Insights into Biomolecule Polymerization Under Plausible Primordial Earth Conditions: Implications for the Origin of Life"; from Georgia Tech under the guidance of Prof. Facundo M. Fernandez and collaboration with Dr. Jason P. Dworkin, was selected for its creativity related to fundamental questions at the core of astrochemistry. 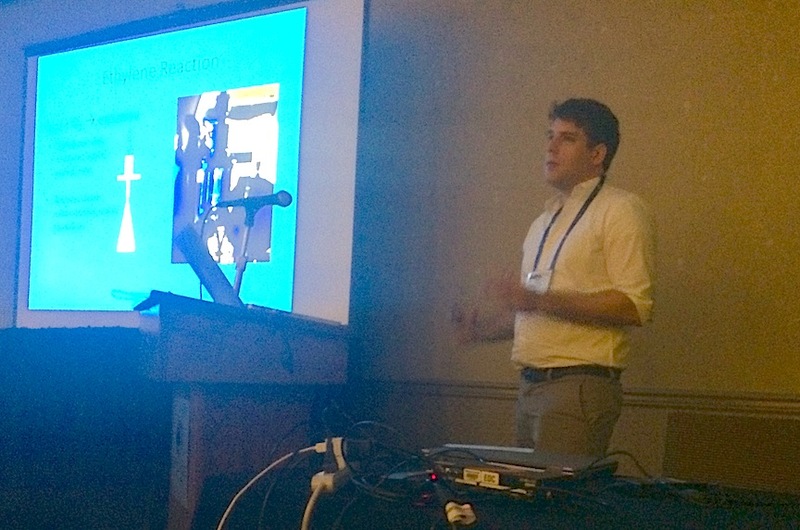 Dr. Parker received a $500 cash prize, an invitation to give a talk at the Fall 2017 ACS Astrochemistry symposium (Molecules in Space: Linking the Interstellar Medium to (Exo)Planets), a $500 travel award provided by ACS Earth and Space Chemistry to attend the fall ACS meeting, and a certificate. All images are used with the permission of the awardee. Congratulations! 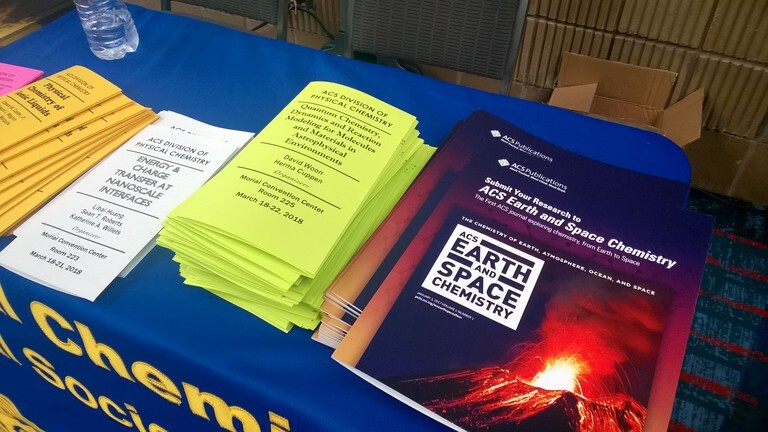 ACS Publications has launched ACS Earth and Space Chemistry with submissions open now. 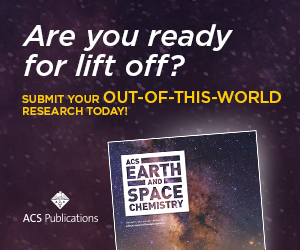 It promises to be a high-impact journal with one of its primary outlets being astrochemistry. Several subdivision members are involved in the project giving a new outlet for astrochemistry and atmospheric related research. The Frontiers of Solar System Chemistry-From Planets to Comets and Beyond symoposium at ACS Philadelphia wrapped up on August 21, 2016. Thank you, Reggie and Stefanie, for a job well done! We had over 50 total speakers, kept the room attendance largely over 30, and even peaked near 75. It was a very successful program with lots of questions and good discussion. 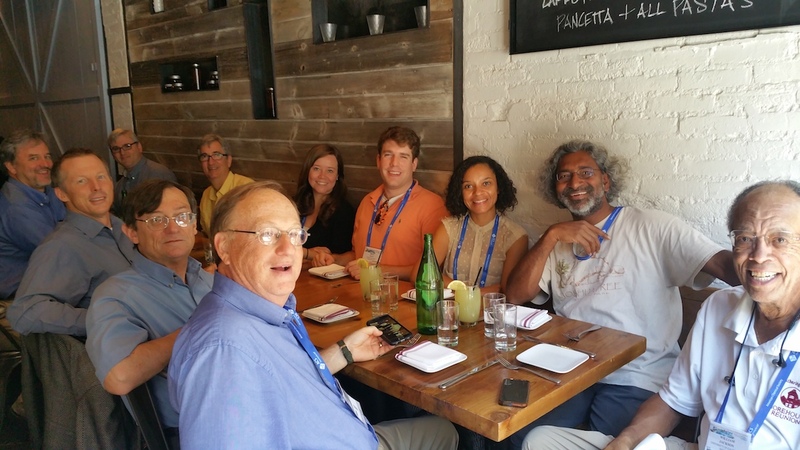 The entire breadth of astrochemistry was represented. 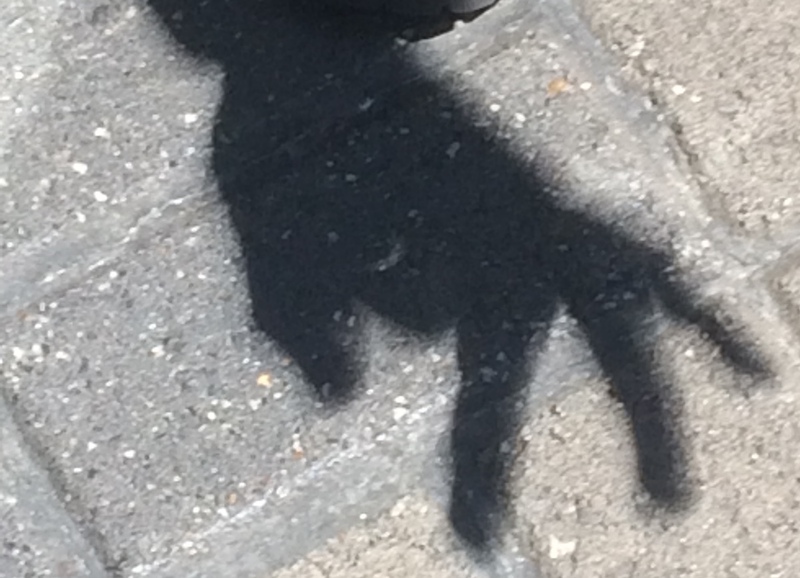 The good-natured discussions also lead to some promising future work. Thank you all who attended. We would also like to thank our most recent Dissertation Awardee, Dr. Brian Hays, for his contribution to the symposium. The 2016 ACS Astrochemistry subdivision has been awarded to Dr. Brian Hays formerly of Emory University now at Purdue University. The full announcement about Dr. Hays's work is given here. For more information about the award and now to apply or nominate a recent Ph.D., please see the dissertation award guidelines. The 253rd ACS National Meeting will be held in San Francisco, CA on 2-6 April 2017. The Astrochemistry symposium for this meeting is entitled "Expanding the Frontiers in Condensed Phase Astrochemistry: Electron Transfer Processes in Ices and Catalysis on Interstellar Grains". More information is given with the announcement. An article about Astrochemistry appeared in 2015 in the popular science magazine Scientific American. 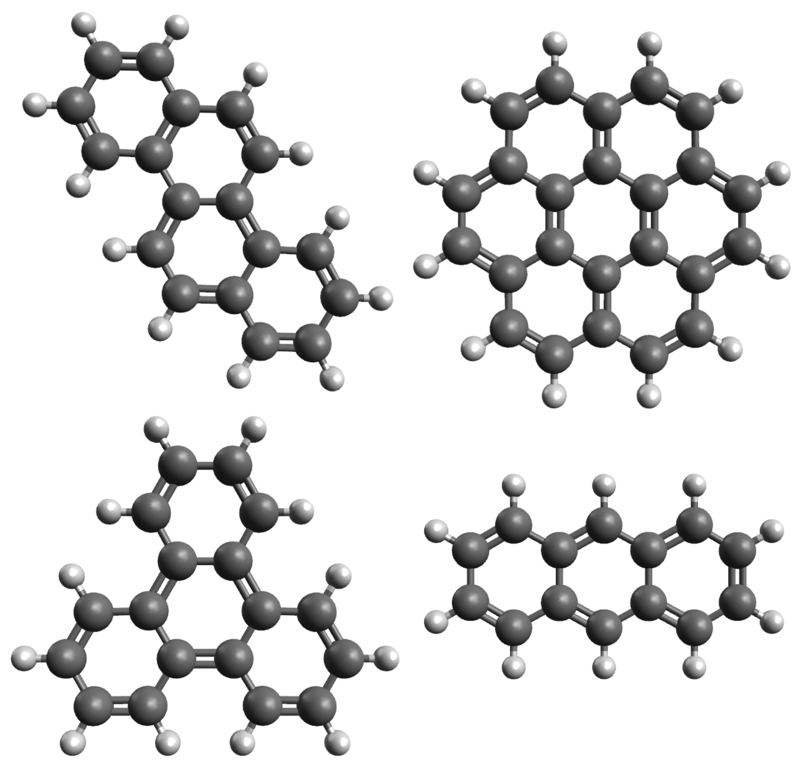 Check out "The Hunt for Alien Molecules" by Clara Moskowitz.